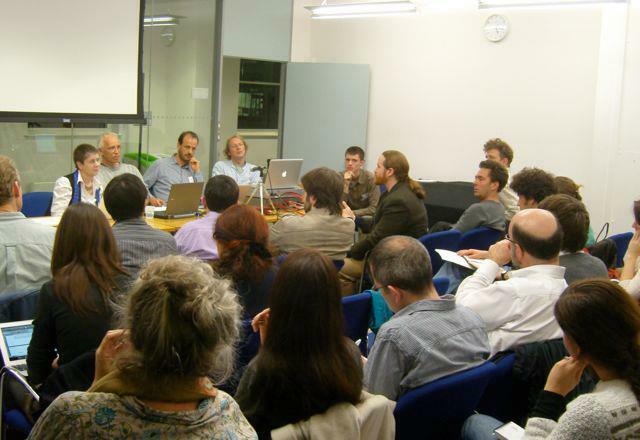 The British Forum for Ethnomusicology is committed to holding regular conferences that provide forums for interested persons to share the findings of—and engage in dialogue about—their research. The BFE sponsors three yearly conferences. The BFE Annual Conference runs for four days and is usually held in April during the Easter vacation period. It typically has a theme, although delegates may present research on any subject of interest to ethnomusicologists. The gathering provides a space not only to reflect on research, but also to hear and make music. Students are encouraged to attend and present papers, and a number of bursaries may be offered to assist them (subject to committee approval). The BFE One-Day Conference is normally held in November. The call for papers invites proposals for presentations on a specific theme. Students are encouraged to attend and present their research. The BFE/RMA Research Students’ Conference is held each year in early January and is jointly sponsored by the BFE and the Royal Musical Association. It offers students an opportunity to present their research and gain familiarity with the conference environment in a supportive atmosphere. Each year, the programme includes student papers, skills training sessions, composition and performance workshops, concerts, and social events. The 2019 conference will be hosted by the Department of Music, University of Sheffield, and will take place from the 10th-12th January 2019 (note: the second weekend of January). In addition to these annual conferences, the BFE also sponsors or co-sponsors a number of Study Days on subjects of interest to our membership. You can click here to go to the BFE Conference Archive and read about past BFE conferences.